The attention to detail is what we noticed first at Rocking R Ranch, an hour east of Calgary. Our cabin was absolutely spotless. One and two-bedroom cabins are furnished with contemporary western decor. The owners will take you trail riding, book you a golf game or even an evening play at the Rosebud Theatre. A day of flyfishing on Alberta’s famous Bow River can also be had. The Rocking R Guest Ranch is just outside the Town of Strathmore, about one hour east of Calgary. We were blown away by the views as we descended into the Red Deer river valley toward TL Bar Ranch, near the Town of Trochu. This ranch rents canoes and will pick you up and drop you off if you want to paddle nearby. Not far away is Dry Island Buffalo Jump Provincial Park. Alberta’s highest buffalo jump can also be hiked, but don’t attempt it on a wet day. Its rugged footpaths are nasty when wet. The TL Bar Ranch Equestrian Campground, in the “Valley of the Dinosaurs” near Trochu. 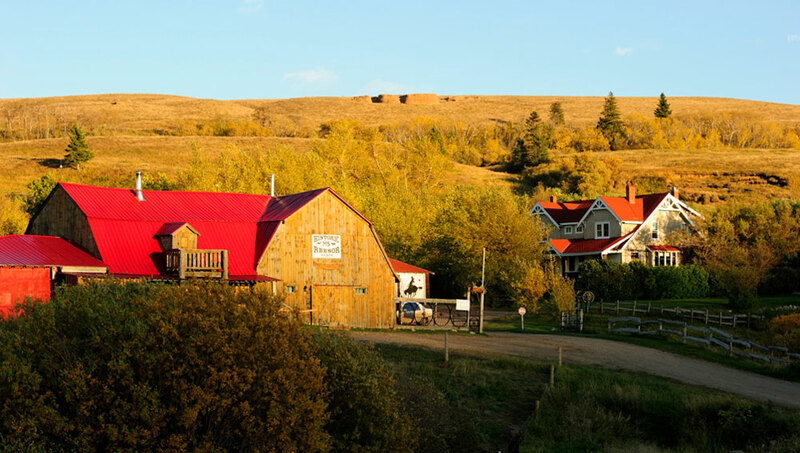 We loved our stay in the ghost town of Dorothy, Alberta (population: 9), south of Drumheller. 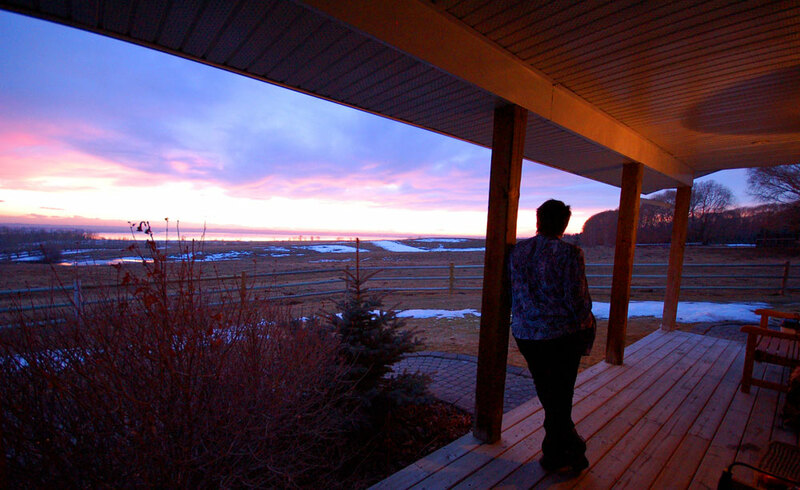 If you’re nice, the B&B owner may even offer you a tour of her ghost town, made famous by Tom Cochrane’s rock ‘n roll video Life is a Highway. Nearby are the ghost towns of Wayne and East Coulee. Wayne is where we cooked our own steak at the Rosedeer Hotel and the Last Chance Saloon (circa 1913). Across from East Coulee, a former coal miners’ town, the Atlas Coal Mine and its creepy wooden tipple are also worth exploring. The infamous (and spooky) wooden tipple at the Atlas Coal Mine in East Coulee. If you love extraordinary vistas, hike Western Uplands, east of Dinosaur Provincial Park. We stayed in the 34,000 acre ranch’s refurbished 1903 homesteader cabin which sleeps ten comfortably. Ancient medicine wheels and teepee rings stand above an oxbow in the Red Deer River that is so large we spied it on our flight home from Calgary. Western Uplands is by far the largest space we’ve ever set foot in! Hearty cowboy breakfasts are served in the old homesteader’s kitchen every morning and you can order an Alberta beef steak dinner to enjoy after a day on the trails. Jet boat tours are also offered on the nearby South Saskatchewan River. The Western Uplands Lodge sleeps ten comfortably. It has great Wi-Fi too. At the historic Reesor Ranch in Cypress Hills, you can join an actual cattle drive. Ride with working cowboys as they gather, move, and sort cattle. Cypress Hills straddle the Alberta-Saskatchewan border, about an hour east of Medicine Hat. 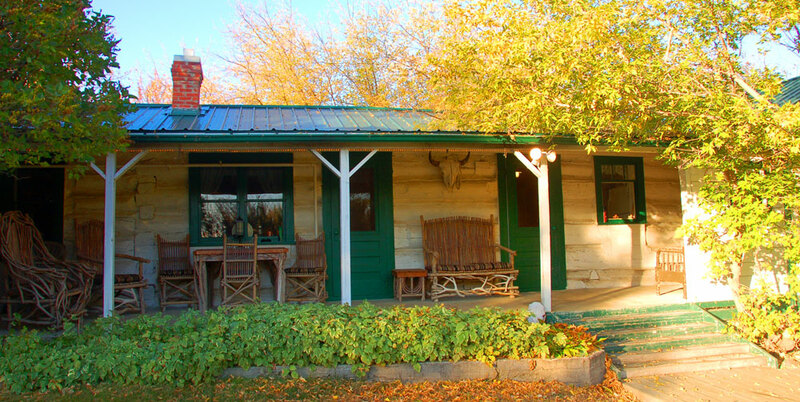 Choose a barn loft stay, cowboy cabin rental or B&B accommodation in the Reesor family’s farmhouse. 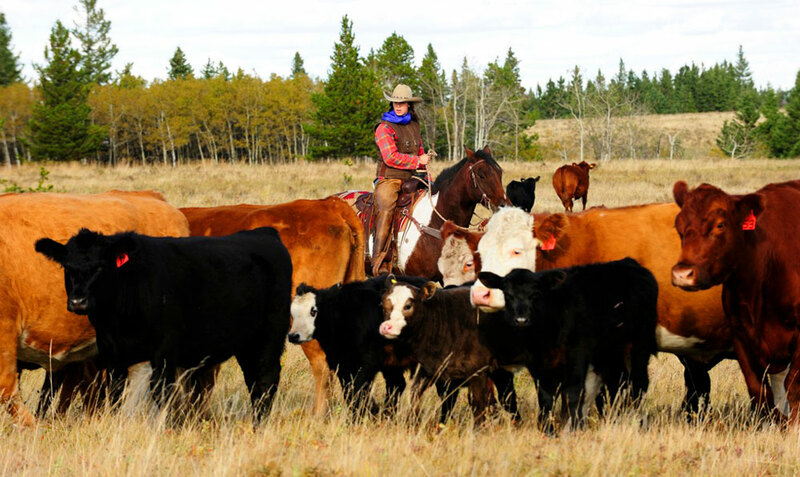 Travellers can join Cattle Drive 101 at Reesor Ranch in Cypress Hills. 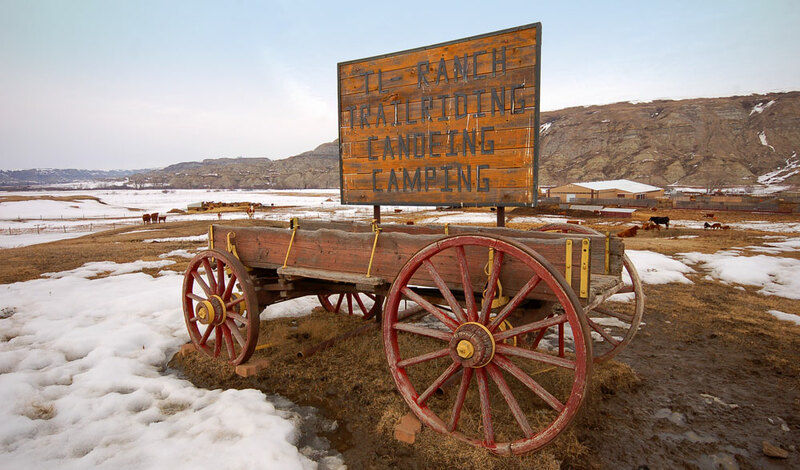 I love rustic accommodations and you’ve introduced me to quite a bunch in this article. And great photos too. I am afraid to ask…what’s a buckle bunny? A Buckle Bunny is a Cowboy Groupie. Typically a young lady (but who knows nowadays?) who takes a great interest in rodeo cowboys and follows them from show to show. The “Buckle” part refers to the heavy metal hardware headlining the Wranglers of competition champions. Ride On!